« Dog Days of Summer! Who’s ready to have a good time with their best friends and do some Doggone Good? 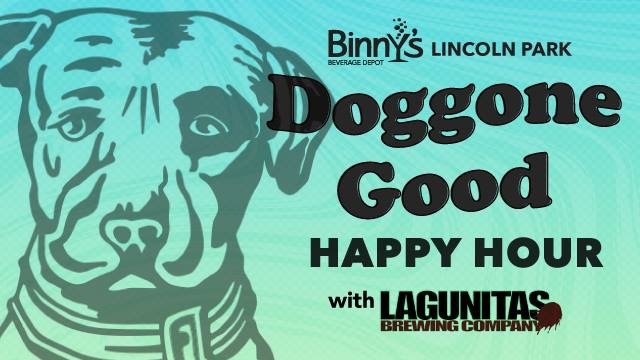 Lagunitas Brewing Co. joins us on the Binny’s patio for a tasting and puppy party with proceeds to benefit the shelter. There will be adoptable dogs, special treats for pups and humans including swag, beer samples, light bites, and rad music. Bring your four-legged friend and join us for a fun afternoon!